Mike, the man behind the lens at Ojinaga Photography has had a passion for the art for over 30 years. He offers each client a personal and fun experience to get the best images possible. He is constantly working to improve his photography, meaning he is always on top of his game. 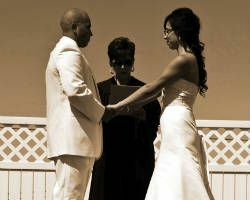 Mike not only personalizes your experience but also your wedding package. Contacting him is the best way to get a quote and design a package that suits your wedding day needs. Zephyr Works Multimedia and Technology is known for their huge range of talents. They do not only offer one kind of photography, but have expertise in every aspect of the art. They understand people, lighting, and their cameras, which means they can capture any moment flawlessly. They photograph sports teams, models, products, and special events. 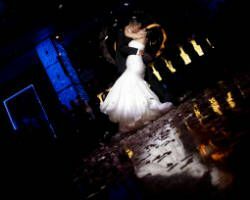 The special events photography means they are experts in capturing weddings and Quinceaneras all over Texas. In addition to their experience, they also offer affordable packages. Brittni Schroeder Photography is known for having a unique style, which is focused around soft lighting and natural poses. Though the photographer does not specialize in weddings, she does have a talent for photography making her ideal for shooting any event. With a passion for interacting with people and making them feel comfortable, every client she shoots becomes more like a friend. It is clear from the images she has already taken that her talent is unmatched and would be perfect for your wedding. Mountain Star Photography is a local professional wedding photographer that shoots weddings at some of the most affordable rates in town. They list their services clearly for each wedding package meaning you know that you will get a full day of coverage, editing, engagement session, and an online gallery with the option of adding more services. The flexibility of this photographer as well as the knowledge that you will be supporting a local business should make the choice totally straightforward. 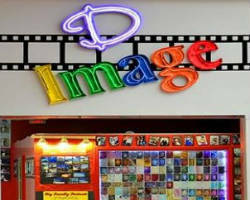 Dimage Digital Photo Studio is focused on families, whether that is your extended one or the beginning of your own. They offer a large studio location for up to 20 people as well as on-site photography for any special event. The best way to get a price is to call them directly. That way, you know exactly the services you are getting and can ask for things that are the most important to you. If you like the photography style of Dimage Digital Photo Studio, you should book them today. 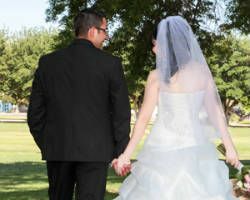 Concepts Art Motion is one of the few wedding photographers in El Paso, TX to also offer full videography and production services in addition to their photography. They are a family owned business focused on capturing the moments you will want to remember for the rest of your lives. Choosing to have a wedding video is something you will never regret. The movement of your dress and the way you first looked at each other when your eyes met can only be seen in video. Sei7e Weddings is the result of two photographers who fell in love with each other and creating photographic art together. 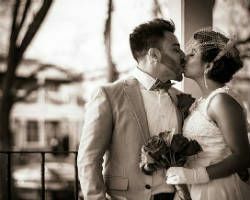 This duo offers wedding packages that include at least 6 hours of coverage, an engagement session, edits, and print releases on all of their images as well as both photographers for the duration of your wedding. This means that you will have the best angles of your wedding from two highly professional wedding photographers who are in sync with their cameras and each other. 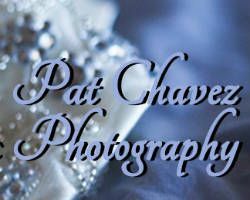 Finding quality wedding videography and photography in one place can be difficult, which is why Pat Chavez Video & Photography has become so popular. With packages offering only video, only photography, or both, you can be sure that you are getting the exact services you want and need. 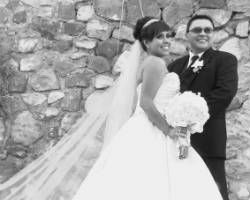 This wedding specialist is becoming famous in the area for his professionalism and impeccable images. If that is not enough to prove that this service is the one for your event, the raving reviews will surely seal the deal.